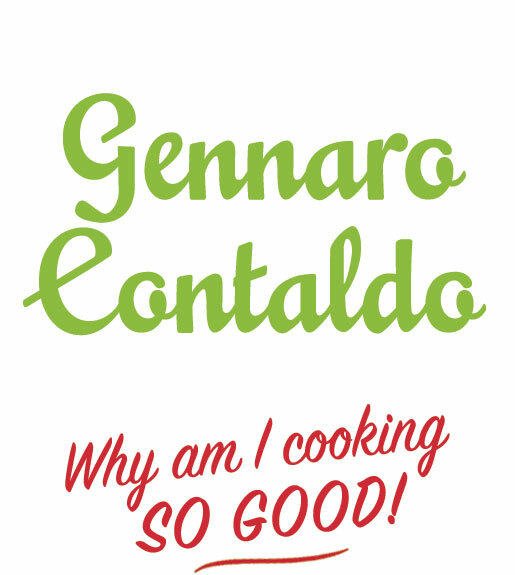 Lovingly restored and updated for the modern kitchen, this new edition of Gennaro’s first cookbook features photographs and stories of his childhood on the idyllic Amalfi Coast. 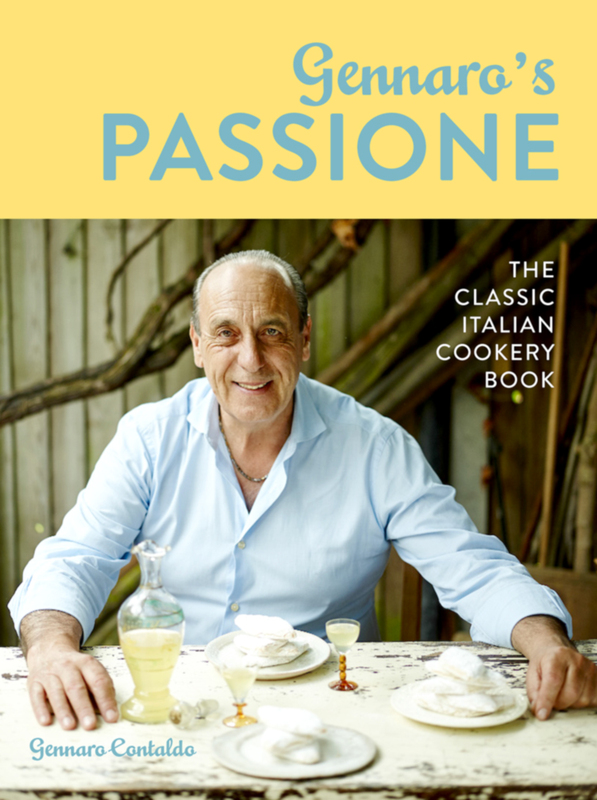 With over 100 colourful recipes that evoke Italian life at its most enticing, Passione is the story of Gennaro’s upbringing in Italian food and will teach you to cook like a true Italian. 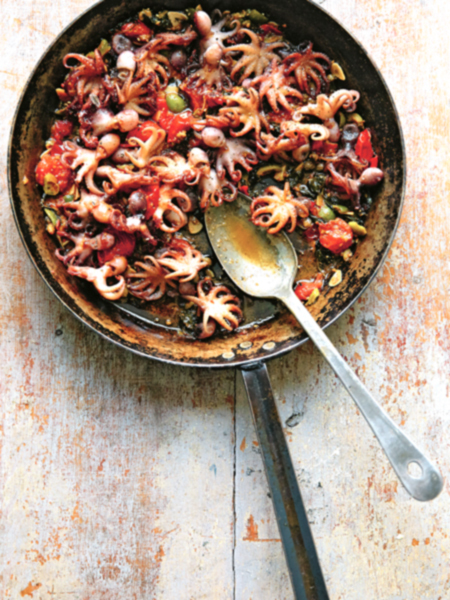 It will inspire cooks of all abilities to taste the true flavours of the Italian coastline. Born metres away from the sea, Gennaro grew up fishing with local fishermen, hunting with his father and foraging for wild fungi and herbs for his mother. I hope this book will bring you some of the joy of my childhood years; many of the recipes and techniques I learned all those years ago are still my favourites and you will find them here. 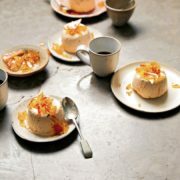 T This recipe takes me back to my childhood Sunday lunches and, more recently, to family gatherings when I return to my home village. 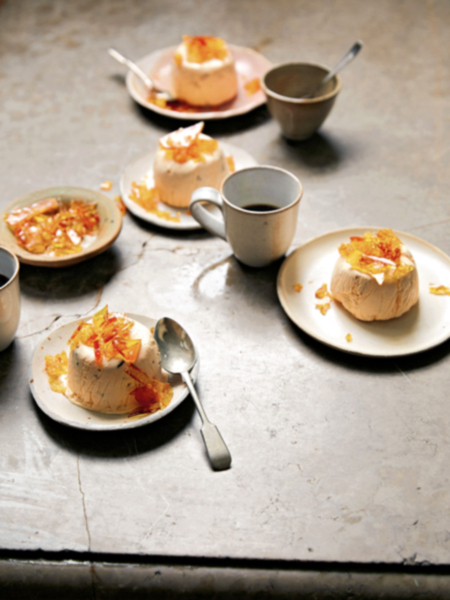 My Aunt Maria was the ‘queen’ of this dish and would spend the entire morning checking, stirring and making sure it was just right for all the family to enjoy. It is traditionally made every Sunday in all regions of southern Italy. 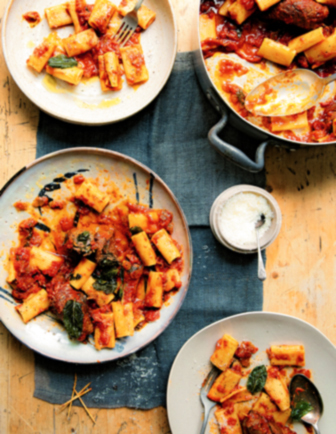 It is a simple dish to prepare and takes about two hours to cook – some traditionalists will cook it for longer to get an even richer tomato sauce, but if you follow this recipe two hours will suffice. The tomato sauce is used to flavour pasta for the primo (pasta course) and the meat is eaten as a secondo (main course). Any leftover sauce can be used to flavour pasta dishes throughout the week. Arrange the slices of meat on a chopping board or a clean work surface and flatten them with a meat tenderiser (if you don’t have one, place a flat wooden spatula over the meat and bash with the palm of your hand). Season with salt and pepper, then sprinkle with the grated Parmesan, garlic and parsley. Roll each slice up tightly and secure well with toothpicks. For the sauce, heat the olive oil in a large saucepan. When hot, lower the heat, add the meat rolls and seal well on all sides. Increase the heat again, add the wine and simmer until it has reduced by half. Remove the meat and set aside. Add the onion and celery to the pan and stir well. Cook until the remainder of the wine has nearly evaporated, then put the meat back in the pan and pour over the diluted tomato concentrate and the chopped tomatoes. Season with salt and pepper and stir in the basil. Lower the heat and partially cover with a lid. Cook gently for 2 hours, stirring from time to time. Check the seasoning. 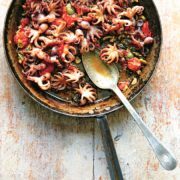 Serve the tomato sauce with some cooked pasta such as tagliatelle or large rigatoni. Then serve the meat rolls as a main course with a green salad.